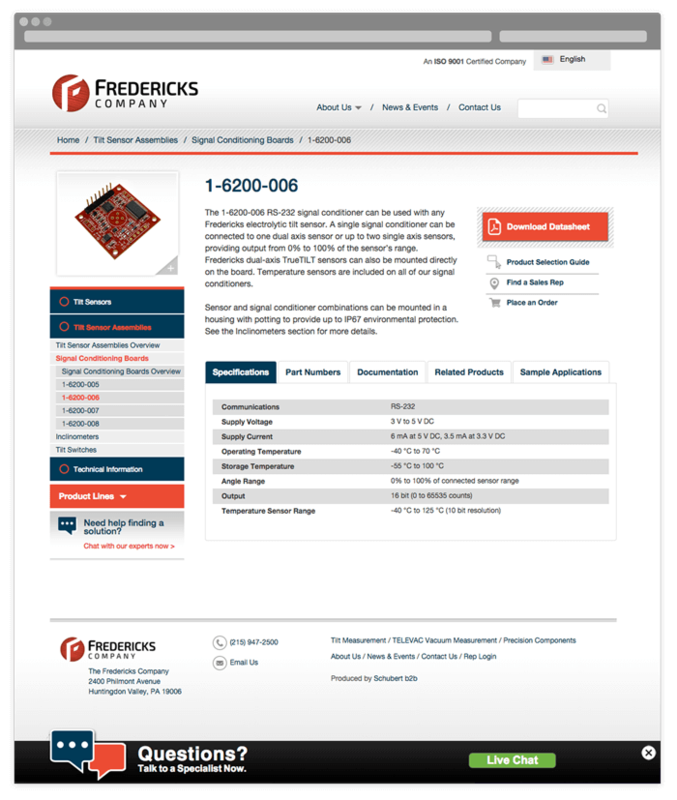 The Fredericks Company partners with OEMs and customers worldwide to design and develop tilt sensors, vacuum measurement devices and precision custom glass components. 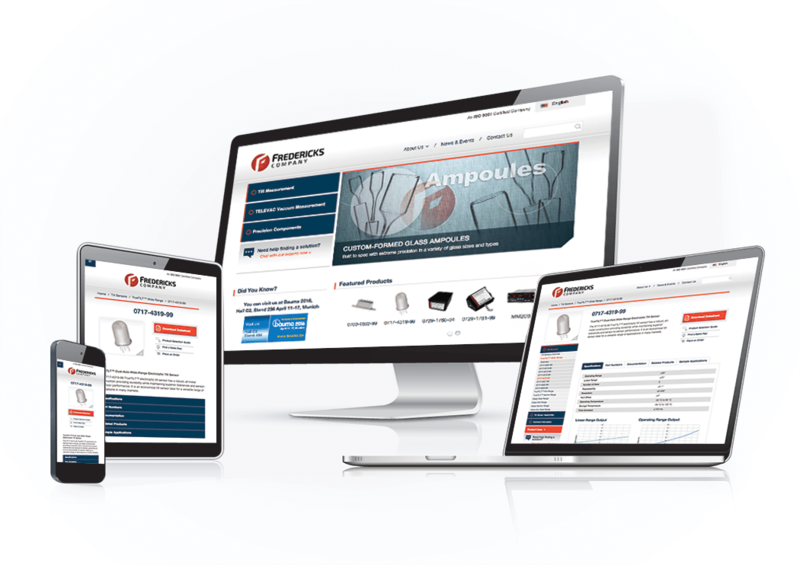 Fredericks turned to Schubert to engineer a rebranding effort to reflect the company’s ongoing commitment to providing market-leading solutions that complement technological advances in the instrumentation industry. 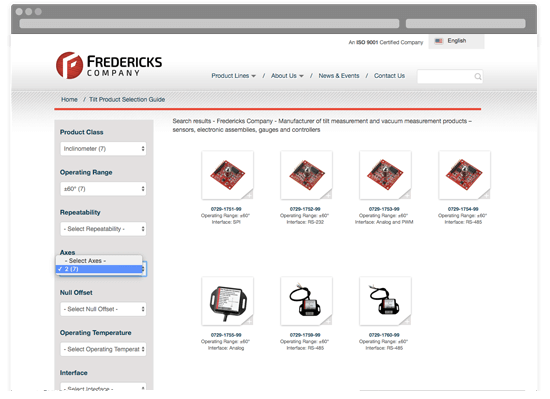 You can find Fredericks products in diverse applications like off-road equipment, laser leveling systems and satellite positioning equipment. 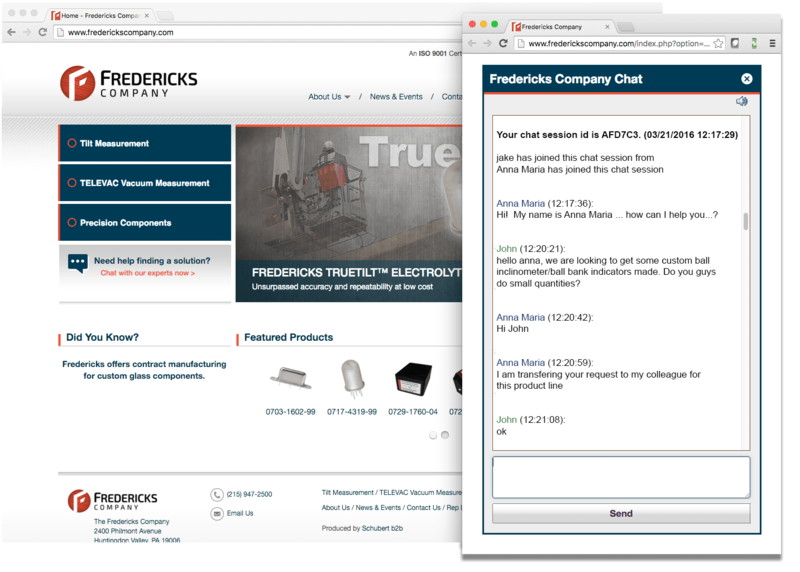 Fredericks’s new user-friendly website features interactive selection guides to help customers get the best recommendations.